How to take care of your garden during the monsoons? Home-made gardens are exquisite assets of residential settings. The decorative greeneries adds a profound aspect of beauty in their surroundings domiciles while exerting the beautiful aspect of nature. Apart from providing sight to behold well-maintained gardens play an influential aspect in maintaining the overall health of a person. From filtering the surrounding air to generating a soothing ambiance home-made gardens are beneficial for the surrounding inhabitant of the domiciles. The exquisite assets for their health benefits and attractive enhancements are extremely desired by several nature lovers. Exotic floras and faunas require the proper environmental conditions to sustain their vigorous aesthetic and enable beneficial functionality. The vibrant commodities organized in residential rows or heaps of planters requires the essential care and treatment to endure their prolong vitality. To have a well-tended hygienic garden proper caring is important. Taking proper care of a garden will provide a reward in terms of visual delight and healthy habitat. It is during the season of rain that every garden seems to be in need of intensive care. Though providing the desired nourishment of water the duration of monsoon brings about the most infections in plants. Monsoons are regarded as the best time for every indoor sapling allowing it to sprout and flourish further. With tad bit, low temperatures and appropriate humidity monsoons provide the ideal temperatures for a shrub. Benefiting the vitality of the plants with a conducive environment, the monsoon is the time when every indoor setup of floras require the proper care and treatment. With an adequate amount of nurturing here are some basic gardening tips that every gardener should get accustomed to during monsoons. While it’s a basic fact that plants require a sufficient amount of water to survive to indulge its nourishment with overwhelming supply water can degrade its flourishing factors and further diminish its overall vitality. Hence it should be given the proper amount of nourishment with requisite surrounding setups. Though monsoons provide the ideal climatic conditions for the nourishment of a sapling not all can survive within the sultry environment. So while adjusting the residential garden setups for incoming monsoon season plants that are known to survive and endure the heavy shower should be planted. The manifestation of bugs and insects are common during monsoon and can hinder the developmental phase of the saplings. The unwanted predicaments can be averted by allowing insect eaters like frogs and toads in the garden through running stream or flowing stream. Very often the leaves of the plants start developing yellowish texture during the monsoon season. A common practice in those times in such times is mixing manure and cottonseed meal on top of the soil. Using perforated sheets instead of plastic variants in the terrace or open garden can help provide a sprinkler watering effect known to be great for plants. Before the incoming monsoon, it is better to prune the plants as it helps in the developmental budding of flowers and enhance the overall growth of the plant. The conducive climate of monsoon is the best time for the garden plants to bloom into beholding sights of floras and faunas. 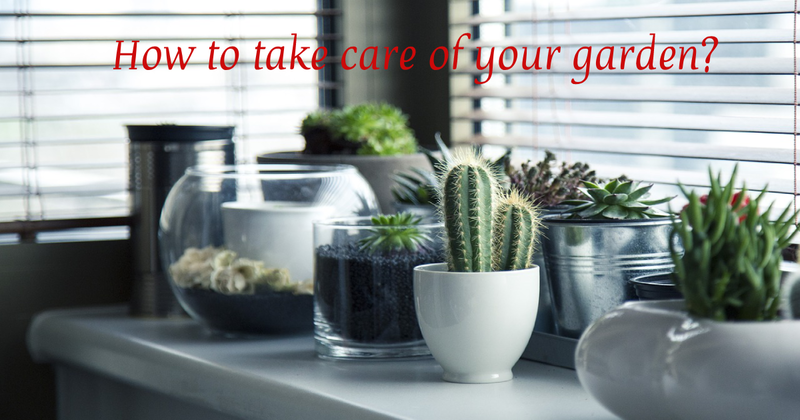 Although providing adequate showering the indoor plants should be tended with proper gardening techniques.